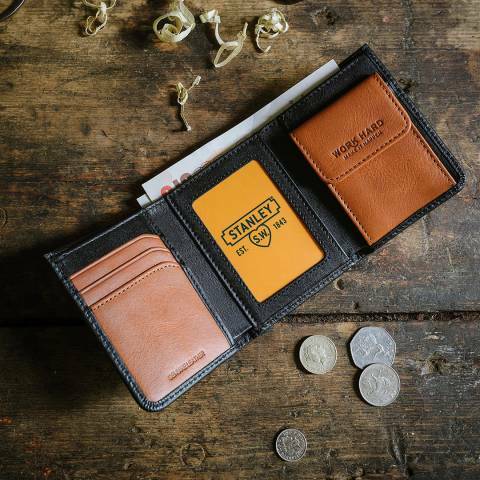 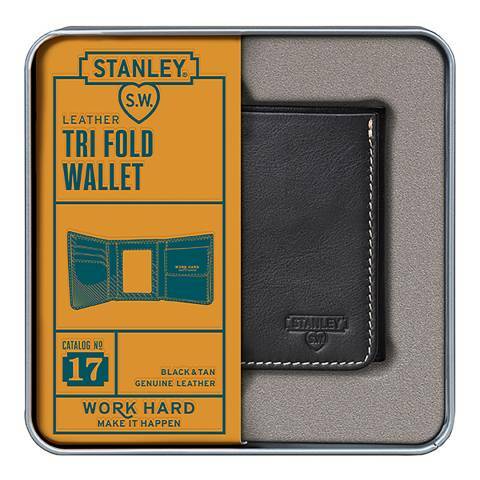 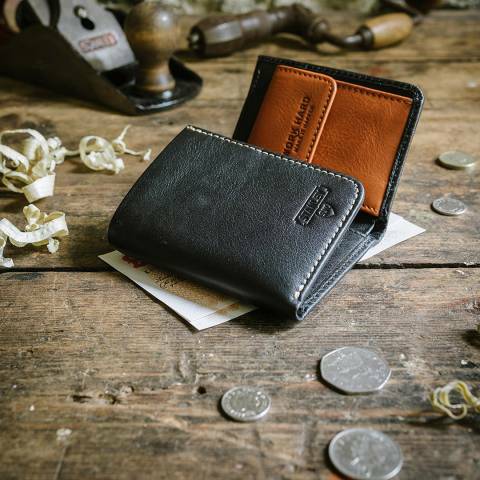 This STANLEY Black & Tan Leather Tri Fold Wallet features four compartments with space for three cards, bank notes, clear window space and popper closure pocket. 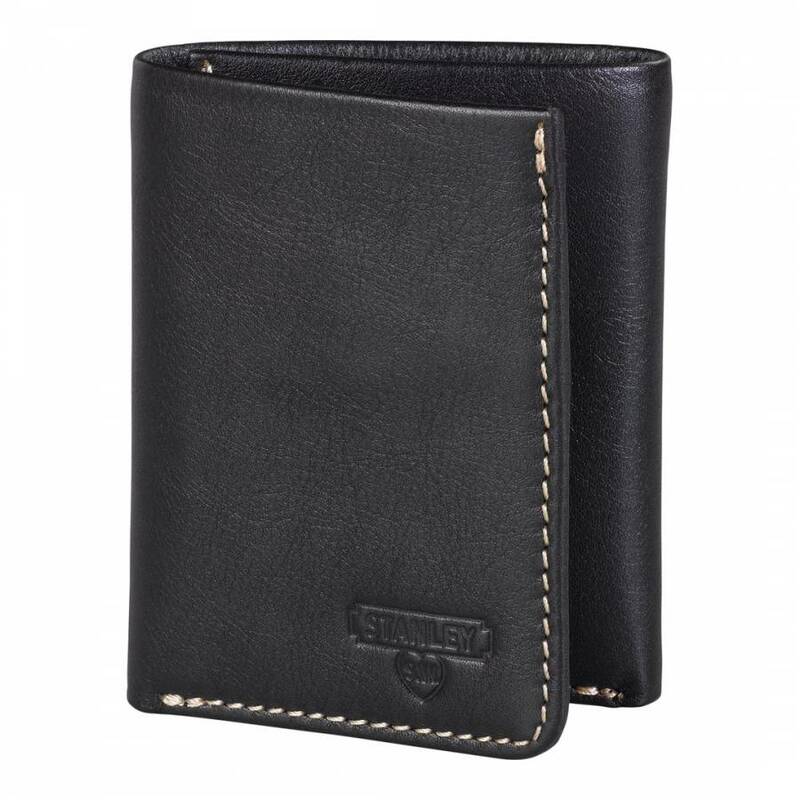 Made from genuine leather in black with a tan interior and contrast outer stitching, it has the STANLEY logo debossed on the front. 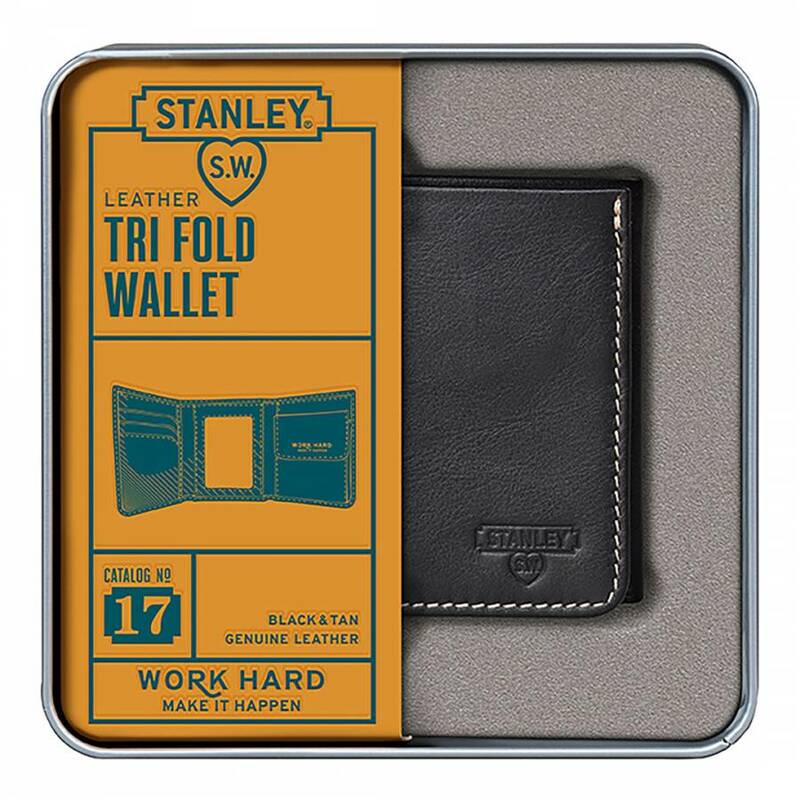 Presented in a STANLEY branded gift tin.